Markusic, a propulsion engineer who worked at NASA, the U.S. Air Force, SpaceX, Virgin Galactic and Blue Origin before founding Firefly, plans to build a family of simple expendable rockets offering dedicated rides for small satellites (under 1000 kilograms) to low earth orbit (LEO). Markusic left his job as Virgin Galactic’s vice president for propulsion in December 2013 to found Firefly because he saw a dearth of launch options for the burgeoning small-satellite market. Firefly’s initial launch vehicle, Firefly Alpha, is designed to send 400 kilogram payloads into low Earth orbit or 200 kilograms into sun-synchronous orbit. The cost of a full vehicle to LEO is currently set at $8 million, and includes features that typically cost extra, such as the separation system and a full re-ride guarantee. Customers will not have to insure the launch, because if the first fails the second ride is on Firefly. Satellites will still need insurance for their own performance. Other launch options include delivering a 120-kilogram payload to a 500-kilometer sun-synchronous orbit for $4.95 million, and orbiting 3U CubeSats for about $240,000. In October , NASA announced the award of fixed-price contracts to Firefly, Los Angeles-based Rocket Lab and Virgin Galactic of Long Beach, California, to provide dedicated rides into orbit for the CubeSats NASA transports under its Cubesat Launch Initiative. CubeSats are small cube-shaped satellites typically sized 10 by 10 by 11.35 centimeters and has a mass of no more than 1.33 kilograms. NASA plans to pay Firefly $5.5 million, Virgin Galactic $4.7 million and Rocket Lab $6.95 million for launches scheduled to occur by April 2018. PJ King, cofounder and COO of Firefly, said the initial target is to field about four vehicles in the first year. If business goes well, King said the number of launches the first year could be up to seven. Assuming continued success, the goal for year two is to produce about 12 vehicles. What makes Firefly Alpha special? Firefly Alpha is a two-stage liquid propellant (LOX / RP-1) carbon composite rocket with a maximum diameter of 6 feet. Every rocket needs propellant, a chemical mixture burned to produce thrust which consists of a fuel and an oxidizer. A fuel is a substance that burns when combined with oxygen producing gas for propulsion. An oxidizer is an agent that releases the oxygen for such a combination. The combination of liquid oxygen and the highly refined kerosene called RP-1 is a well-tested proven technology which has been used since 1957 in the United States. The structure of the first stage and the second stage of Firefly Alpha is almost exactly identical in design. The primary advantage of similarities is in reducing the cost of manufacturing and the risk from introducing more different components. However, the first stage is different in that it has twelve identical aerospike engine cores while the second stage has one conventional bell engine. Firefly Alpha rocket differentiates itself significantly from other small rockets with its aerospike engine. 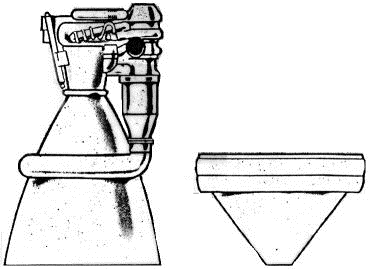 Conventional rockets all use a traditional bell nozzle. The nozzle is heavy but it’s necessary to direct thrust and ensure that the exhaust gas expands at an optimal rate. However, this expansion velocity is dependent on the external air pressure, and as the altitude changes, that pressure is constantly changing which means the combustion and hence thrust is not optimized for much of the journey. An aerospike engine is not as efficient as a bell nozzle at a specific pressure but an aerospike uses its particular aerodynamics to ensure it’s more efficient across the range of pressures in the rocket flight. Firefly Alpha also uses an all-carbon composite material. This carbon composite material is incredibly light which reduces the mass of the rocket structure — allowing it to lift heavier payloads than a traditional metal rocket. Furthermore, the use of carbon composites allow higher tank pressures to be sustained while not increasing much structural mass. This allows Firefly to use a simple pressure fed propulsion cycle instead of a complicated costly pump fed propulsion cycle. While planning and carefully designing the Firefly Alpha for mass production, Firefly has several long-term initiatives including reusability and a second vehicle, coined the Firefly Beta. Firefly Beta uses a combination of three first stage Alpha cores to provide a payload capacity of roughly 1.1 metric tons. 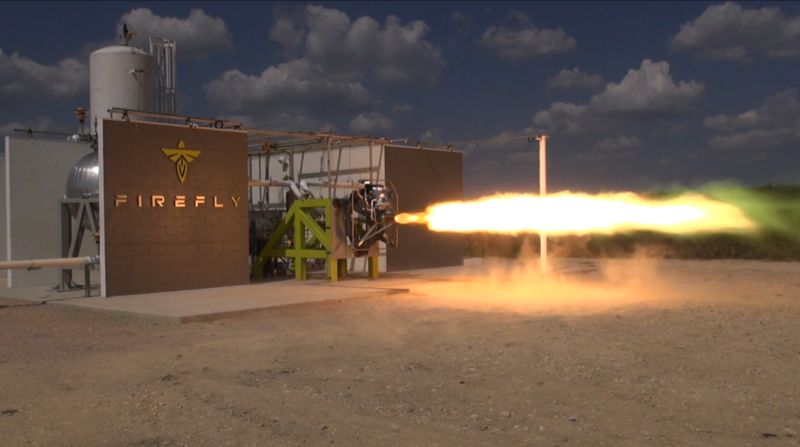 Firefly Beta will use methane which is clean, readily available, and allows reusable rockets. King described the Firefly Beta as a “mini-Delta 4” rocket, enabling mission flexibility from CubeSats to the heaviest SmallSat (small satellite) customers. King said that Firefly would operate both vehicles concurrently.